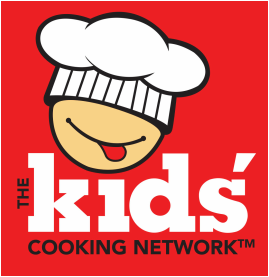 The Kids' Cooking Network™ - TKCN LIVE produces "Lifestyle driven content that Entertains, Educates, and Elevates Kids & Families Around the World". ​The Kids' Cooking Network - TKCN LIVE is a "Virtual Food News Magazine™" is a first with interactive iTV programming available globally 24/7. TKCN content is available for trans-media platforms such as; Print, Live Events, Multimedia content via broadcast, digital, streaming, industry journalism, cable/satellite, radio and mobile push across regional to international markets. "Food News You Can Use" around the Globe! The Kids' Cooking Network™ provides a forum for Kids' choices and voices to be heard regarding food & health interests. Our foremost mission is to help Kids & Families eat better so they can live better. We are motivated by the disturbing fact that childhood hunger, obesity and diabetes are increasing at an alarming rate. TKCN Helps Kids, Tweens & Teens develop important Life skills! Additionally, The Kids' Cooking Network™ offers Kids a unique and exciting forum for Kids to develop self-confidence, explore culinary/media interests while learning new skills like Print industry journalism articles, Live Events, "broadcast quality" programming, food industry journalisim, creating/making/sharing favorite recipes or restaurants, food product development, etc. Kids are involved in every aspect of the development process from creative/conceptualization to production, post production and the implementation of final products. During the production process, depending on area of interest, Kids may acquire valuable tools like time management, planning, follow through, written and verbal skills, measurements/math and media presentations. Kids also have the opportunity to work with professional broadcasters, chefs and cutting edge technology while having the opportunity to share their interests, perspectives, ideas, projects and talents with the world. Currently, we are producing our content in cooperation with strategic partners in entertainment and distribution through multi-media channels around the globe. To date, TKCN has received interest from numerous parties inquiring about liscensing, franchising, etc. Our team provides the turn-key expertise required to develop highly specific versions of the TKCN product per application, market, organization/institution, per region or country through to placement on all multi-media platforms including, iTV public broadcast, digital platforms, streaming, social media, cable/satellite and other venues. Products, equipment, wardrobe and supplies are provided by our 'community partners', including, local, regional and national/international suppliers.